THE FOLLOWING POST CONTAINS MAJOR SPOILERS FOR THE NETFLIX LIMITED SEASON OF ‘MANIAC’. IF YOU HAVE NOT SEEN THIS SHOW ALL THE WAY THROUGH SEASON ONE YET (10 Episodes), AND PLAN ON DOING SO, LEAVE THIS POST AND RETURN AT A LATER TIME. This past weekend I powered through Netflix’s show ‘Maniac’. After having watched the first season, I have thoughts. The first one is, they should not have labeled it as ‘Season 1’. If anything, ‘Maniac’ should have been marketed and released as a miniseries – not as a limited season. Because they have labeled the show in this way, it leaves it open for a ‘Season 2’, and there is absolutely no reason for them to do that. “But, did you like the show? Shouldn’t you want a second season?” – Yes, I absolutely loved the show. I thought it was brilliantly done in several aspects, and I think it ended perfectly. So, no, I don’t want a second season. Here’s why. 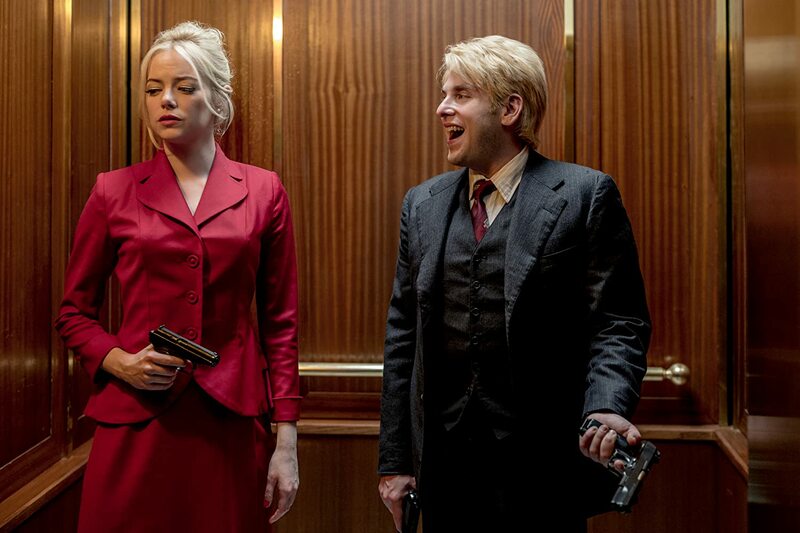 The cinematography was on point, pulling the viewer in and out of consciousness along with the characters Annie (Emma Stone) and Owen (Jonah Hill). Both characters had good backstories that tied in throughout the rest of the show, but I felt that Annie’s story was more compelling than Owen’s, even though Owen is more disturbed. Annie is a little more relatable to your average viewer. Her issues stem from a broken family and depression that she can’t seem to let go of. Owen has schizophrenia, and because of this struggles with the very fabric of reality. I think this makes it more difficult to see things from his perspective. That said, I think they did a great job trying to represent what he goes through with his hallucinations. Both of the lead actors did a great job as both their conscious and unconscious characters. 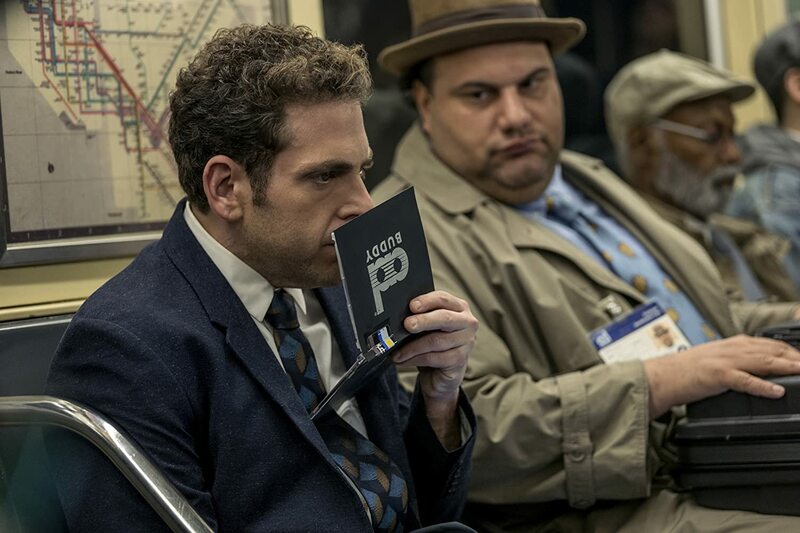 Jonah Hill plays Owen perfectly. It’s not over the top, it’s just a guy who is struggling. He’s not funny in this role at all, which is perfect. In his other personas, Jonah also does an amazing job, and finally gets to say a couple funny lines as the Icelandic Ambassador, but most of his scenes are dark – which is not something I expected from him. To be honest, I liked Emma Stone’s performance as Annie, but felt we’ve kind of seen her play that before – at least most of it. Is super sarcastic, not shy, knows how to hold her own for the most part. It was in her other personas that we really got to see her shine. My favorite (and apparently her least favorite) part was her drunken-elf persona. All of the supporting cast did a great job as well, though sometimes they felt more like caricatures of themselves. I think this was intended, but it sometimes distracted me from other elements of the scenes. When/Where ‘Maniac’ takes place is both foreign and familiar. There were times I thought maybe Owen was in a coma, and none of this was actually real, but his version of the future. There are sci-fi futuristic elements like holograms and sanitation robots, and yet everyone is using computers from the 80’s. Oh, and the Statue of Extra Liberty was awesome. 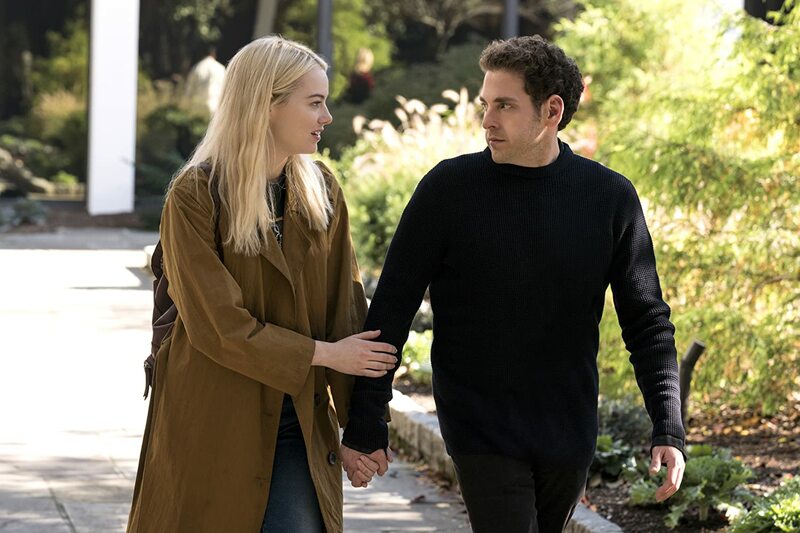 ‘Maniac’ takes a deep dive into mental illness of varying forms, not just Owen’s schizophrenia or Annie’s borderline personality disorder. Dr. James K. Mantleray (Justin Theroux) has several issues and … bad habits… that he needs to work through, including some MAJOR mommy and abandonment issues. Dr. Greta Mantleray (Sally Field) seems like a headcase all her own, and has issues with and has caused issues for her son. On top of that, the computer designed after her, G.R.T.A. is suffering from delusions of grandeur and bouts of depression and suicidal tendencies. Dr. Fujita (Sonoya Mizuno) has control and personality issues, Dr. Muramoto (Rome Kanda) at the very least has a drug problem, Annie’s dad Hank (Hank Azaria) has issues dealing with his grief and the outside world… the list goes on and on, but you see what I’m getting at here. There are so many repeating patterns throughout the show, it’s fun to try and spot them all through every episode. AdBuddy and FriendProxy are eerily legit, even though they’re obviously satirical in nature. Throughout the show, we follow Annie and Owen as they struggle with their issues and become closer to one another. They never really get “romantic”, even in their other personas, but you can see that they need and depend on each other for some semblance of sanity. They are better together than apart. When they finish with the trials and return to their “normal” lives, they are better than they were before – even if they don’t feel or realize it at first. Owen does what is best for him for once, even if it actually ends up getting him committed to a mental hospital. Annie finally reconnected with her father and admitted to having issues dealing with survivor’s guilt. When she realizes that she needs Owen and can’t see herself moving on with her life without him, she breaks him out of the mental hospital using tactics she learned in their time during the treatments. Owen finally learns to trust and goes along with her. As they’re driving away, this is the first time Owen is honestly smiling from happiness. They drive away like there’s no tomorrow, leaving us to fill in the blanks. As ‘Maniac’ shows throughout the series, our minds are very complicated and powerful things. Let’s not ruin that ending by putting some canon story to it after the fact. Let them run off to Salt Lake. Let them live their lives in our imaginations. 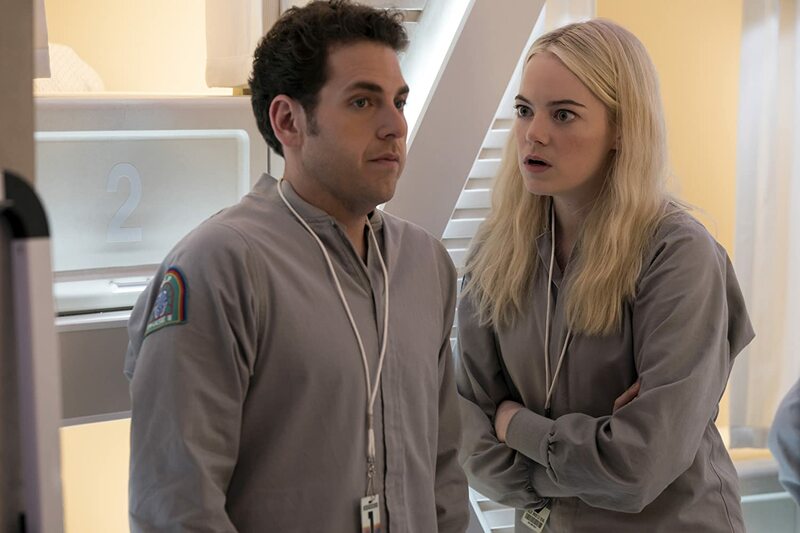 What did you think of ‘Maniac’? Do you agree or disagree with my assessment? Do you want to see a second season, or leave it where it stands?